Contacts can be displayed in two views: A single column card view, or a multi-column list view that allows you to control the columns displayed (e.g. company, last name, first name, etc.) and the sort order. 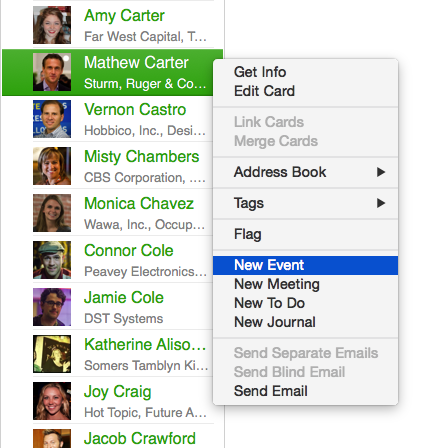 Tags are a flexible way to categorize and filter contacts in BusyContacts. 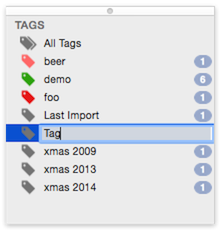 You can assign multiple tags to each contact and a tag cloud allows you to easily filter the list of contacts. 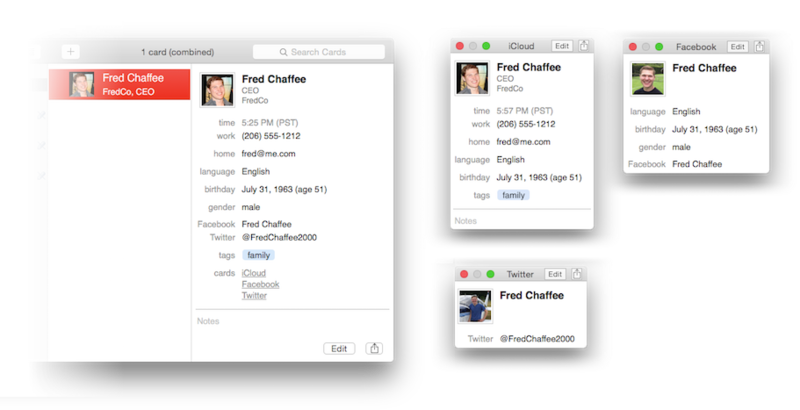 Tags in BusyContacts map to Groups in Apple Contacts/iCloud and Categories in Outlook/Exchange. 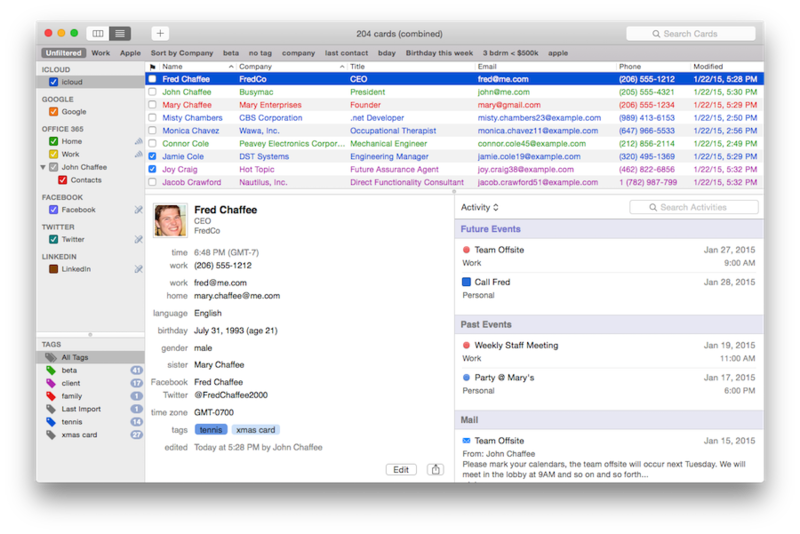 BusyContacts syncs with leading CardDAV services and social services such as Twitter, and consolidates information about your contacts and relationships from multiple sources. What's more, BusyContacts links related cards from multiple sources and combines them into a single virtual card. 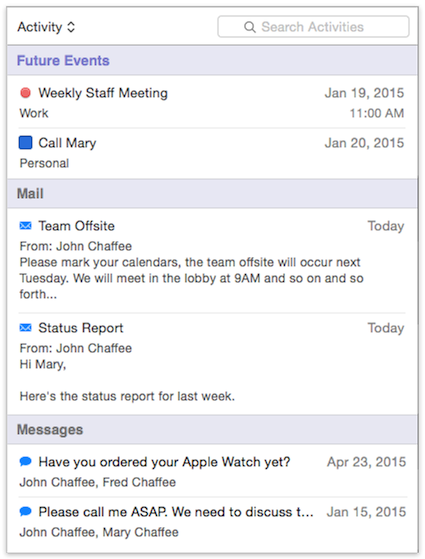 It's a fantastic way to quickly review all types of communication and activities associated with a contact. 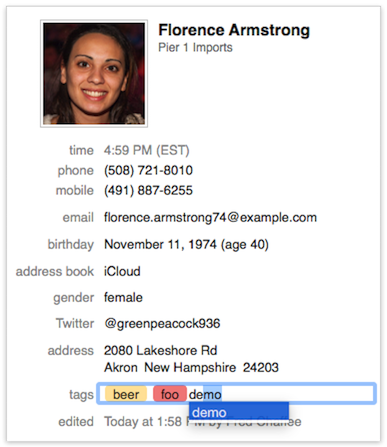 You can create Smart Filters to display contacts that match certain conditions, such as a text string, tag, or birthdate. Or to apply view settings such as columns displayed and sort order. 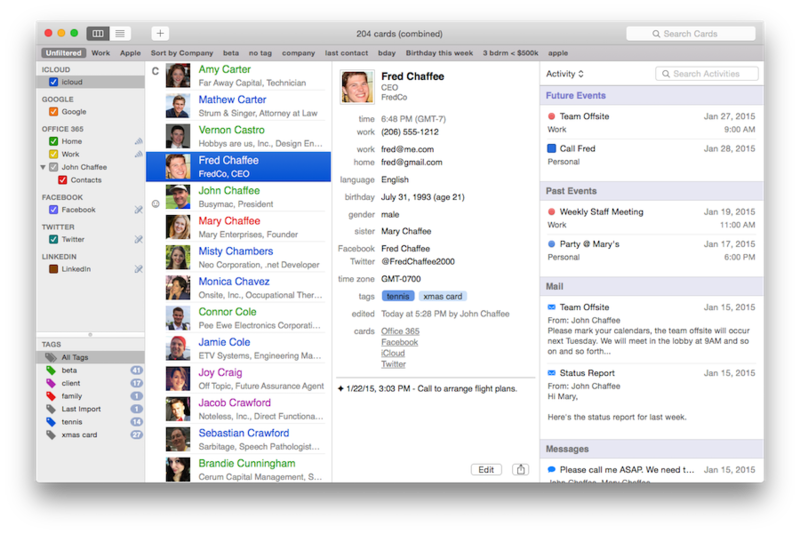 BusyContacts syncs with all leading cloud services including iCloud, Google, Exchange, and other CardDAV servers, enabling you to sync contacts with other Macs running BusyContacts or the built-in Contacts app on macOS and iOS. You can also share address books with other BusyContacts users with read-only or read/write privileges. Address Books can be shared through Exchange, Fruux, Kerio, over the LAN, and through other CardDAV servers that support sharing.